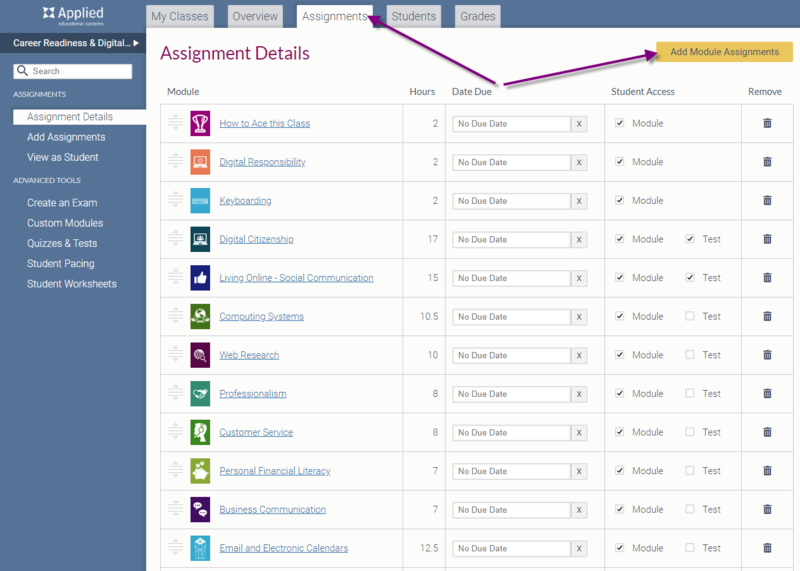 Upload your own resources for students to access. 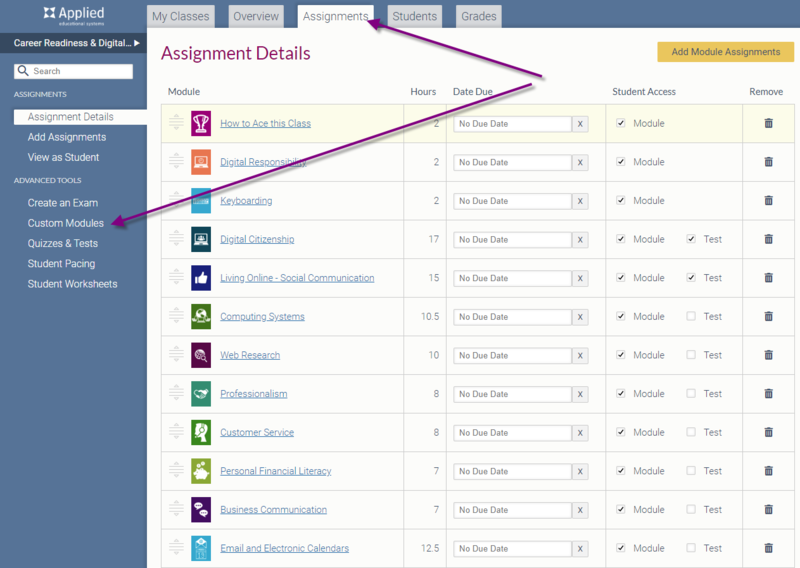 You can upload you own resources to your classes! Resources that can be uploaded include powerpoints, word documents, excel files and PDFs. You can start by signing in as a teacher and selecting a class. 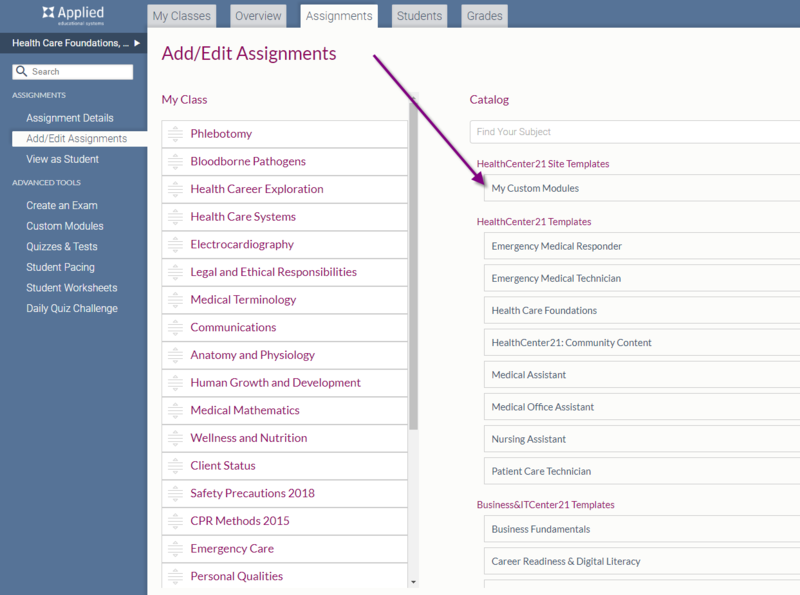 On the Assignments tab of the class that you selected, under the Advanced Tools on the left, you will find the Custom Modules option. 3. 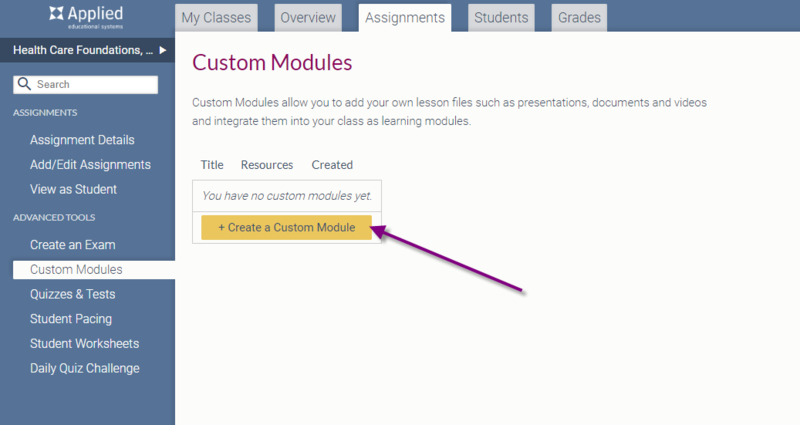 Select Create a Custom Module. 4. Add a Title and select Add Resource. 6. Here, you'll add the resource from your computer when you select Add Resource! 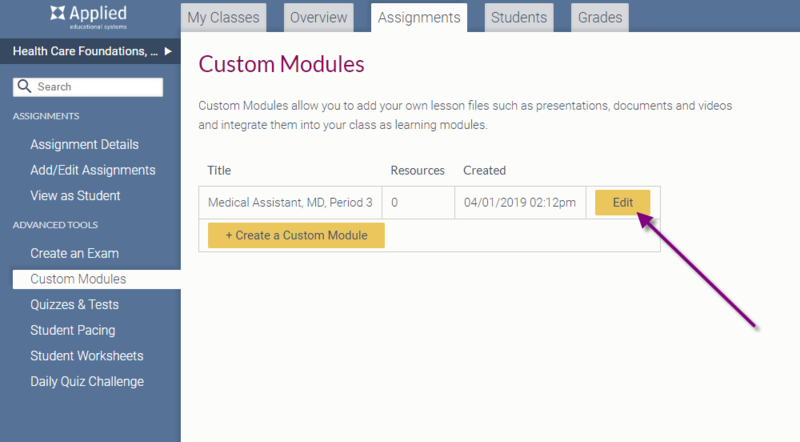 Once you have create the custom module, it's time to add it to you classes! 1. 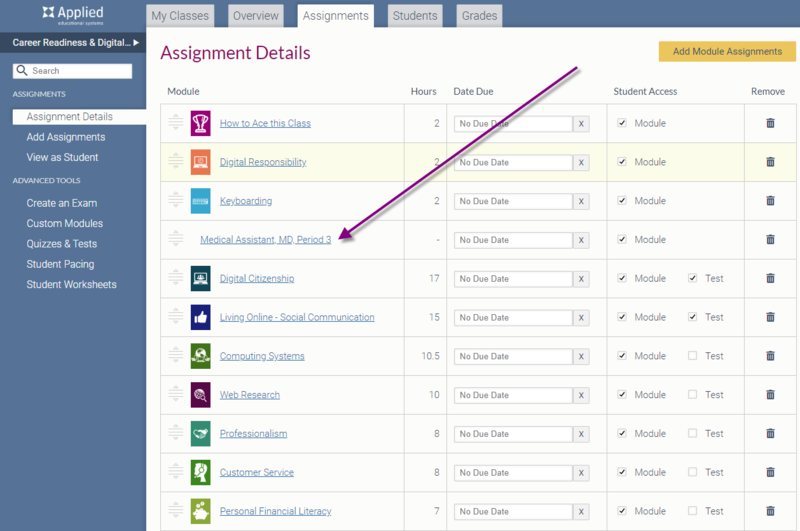 To add the custom module to your class, you'll enter the class you would like to add it to and select Add/Edit Assignments on your Assignments tab. 2. From there, under the Catalog on the right, you can select the My Custom Modules template. 3. 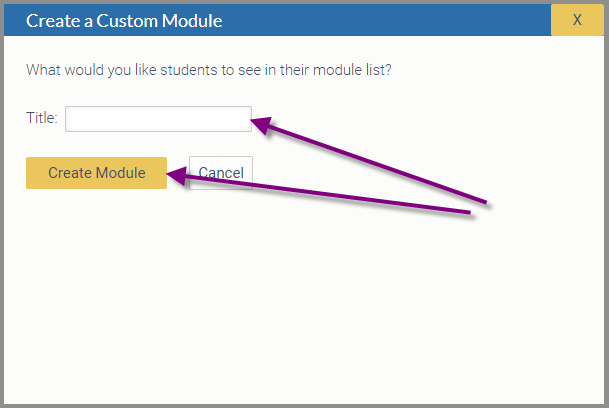 Then, like you add any module, you can drag it to you My Class list. 4. 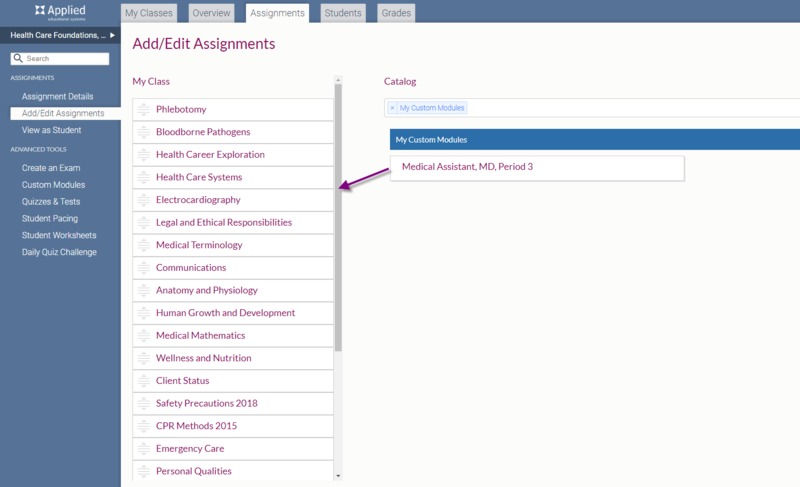 Lastly, you can further edit but open and closing the new custom module or assigning a due date. 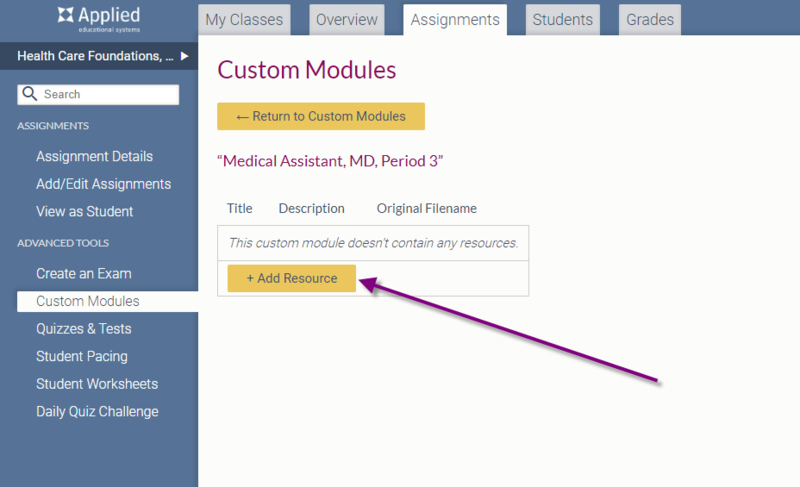 To view the resource you uploaded, you can select the custom module's title from the Assignment Details.